Available for purchase anywhere in the world, the Barska rifle scope is one such that can be described as one of the leading competitors in its field of expertise, delivering its customers an amazing range of different rifle scopes. With over a hundred different products to choose from, Barska leaves a definite impression when it comes to its wide variety, which measures in different sizes, shapes and each latest version including additional or upgraded features. As an established brand, the point of Barska and its wide range of good-quality rifle scopes, next to all its other products which include other optics, gear and lasers, as well as lights for your scope, the brand is definitely not one to disappoint. An Overview of a Leading Competitor, Barska. Barska has been one of the main competitors when it comes to designing and manufacturing some of the best rifle scopes at the most competitive prices when compared to leading brand such as Swarovski, Zeiss and Steiner to name but a few. Barska rifle scopes were created in 1994 and withmore than 20 years of its expertise, it’s been recognized as must-have gear choice when it comes to hunting, using rifles for tactical-use and even sports. It’s customers also consider it to be the value-minded rifle, which means lower cost and better value without having to compromise on quality. Choosing Barska rifle scopes for whichever activity you’ll be using it for, you’ll be investing in not only optimal quality but years of optical experience and technology that will ensure your accuracy when having to focus when shooting at all times. As a leading brand, we’ve already established that Barska is a specialist in the field of riflescopes and offer tons of variety, no matter which weapon it is you’re buying for. 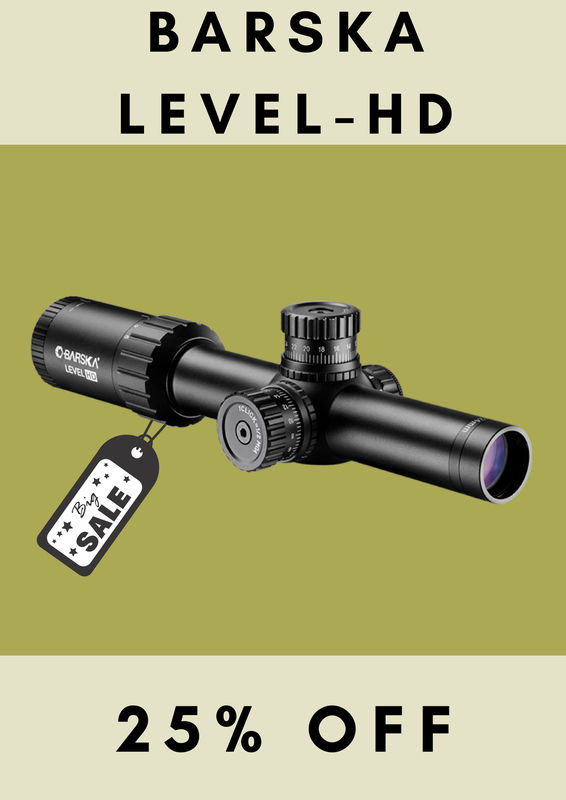 Their rifle scopes are specifically designed to provide crystal clear imagery, which will allow you to get that perfect shot each and every time you decide to venture out into the wilderness or simply practice your shooting skills before your hunting trip. The quality of these scopes is measured by its advanced technology and ergonomically designed specs, which makes for a beautiful tool to add to your hunting experience. It also ensures that your entire hunting experience is comfortable one too and with the latest integrated technology is considered a favourite amongst the regular hunter. 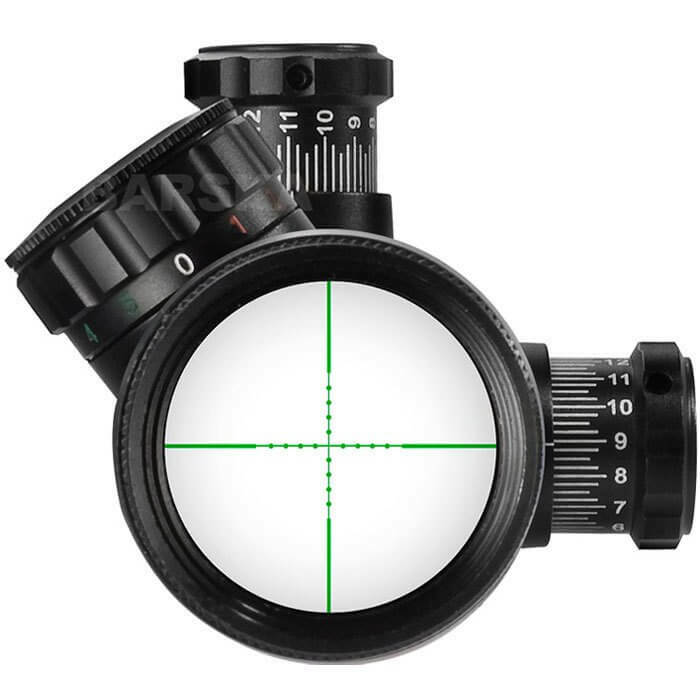 For enhanced quality, the rifle scopes include an O-ring sealed feature which allows for waterproof protection, as well as added nitrogen that is used to prevent your lens from being affected while outside in colder weather. There’s no need to fret about the scope’s glass fogging up or losing focus in unexpected weather conditions. Some of it’s best features also includes its price, which probably serves as one of the biggest advantages when it comes to its high-quality and top standard of technology. Who needs a rifle scope that’s incredibly expensive along with good quality, when you could get the same level of quality and expertise at a much lower price? Ranging from anywhere between $90 to $400, Barska rifle scopes are created with a great intent to keep its customers interested and inquisitive as to way such good quality is so inexpensive. Perhaps it’s the advancement and innovative technology of more than 20 years of developing increasingly better rifle scopes annually. According to the price, quality regarding the use of materials are not compromised, but the difference in price comes in with its length, size, as well as the weight of the product and of course, the specs of its design but more specifically, the lens. Does Barska’s Range of Rifle Scopes Have Negative Features? 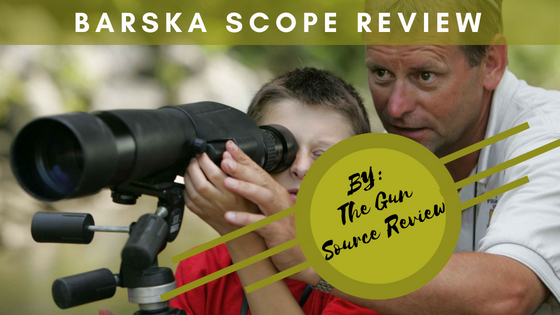 Taking any negative features into consideration, most people have had an absolutely amazing experience purchasing Barska rifle scopes and don’t see the need to pay more for this product at leading brands if they can receive the same quality from Barska. The only negative features their products will have is not having all feature in check for each rifle scope. The more expensive you purchase a rifle scope based on specs, the more features and better quality you will receive, as with anything. Overall, Barska has delivered an amazing amplified range of products and is a recommended brand for both the learner hunter, as well as the expert.